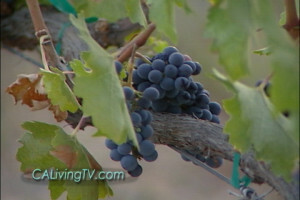 California Living ® host Aprilanne Hurley invites you to explore California Wine Country on ION Television. California Living ® host Aprilanne Hurley airs an Insider’s Guide to California Wine Country on ION Television this season. When it comes to exploring California Wine Country, California Living ® has made it a priority to visit California’s top Wine Country destinations to deliver the Insider’s Guide to California’s Wine Country destinations. 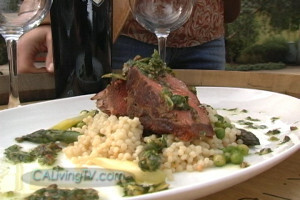 California Wine Country Spotlight: PlumpJack Wine Pairing with BBQ on California Living® with host Aprilanne Hurley. Discover how wine is made at Grey Wolf Cellars in Paso Robles, California. Get the California Living ® Inside Look at Wine Country Living in Napa Valley, California, through “Fractional Ownership”. Score expert wine tasting tips in California’s world famous Napa Valley, California. Discover food and wine pairing party tips at the “girl & the fig” restaurant in Sonoma Wine Country. Go behind the scenes of a famous Wine Makers Dinner on the Sonoma Coast. Learn how to expertly pair food and wine and entertain with ease in Napa Valley, California. Find out everything you need to host a “blind wine tasting party” with California Living ® host Aprilanne Hurley in the California Living ® Sonoma Wine Country Kitchen…and much, much more! Record it, TiVo it…watch it realtime – just don’t miss the California Living ® line up of California Wine Country centric Broadcast TV shows airing this season. California Living ® with host Aprilanne Hurley airs in the San Francisco and Sacramento, California, television markets on ION Television. Click here to access the California Living® Broadcast Television page for show channels, days and times. Aprilanne Hurley, California Life, California Living, California Living TV, california wine, california wine country, food and wine pairing, Napa Valley Wine, paso robles wine country, sonoma coast, sonoma wine, sonoma wine country. Bookmark.